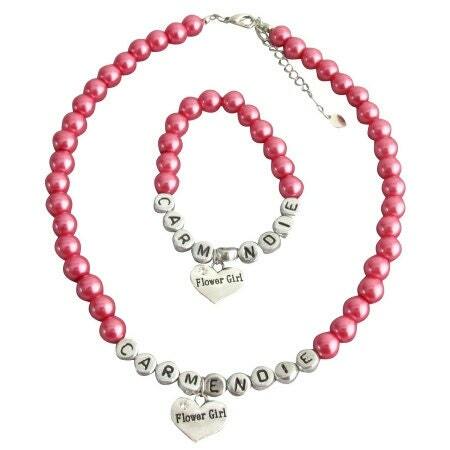 This is a personalized flower girl bracelet it is made with 8mm Pink pearls stretchable bracelet with SARAH name BUT you can customize this Kids Pearl Bracelet with the name you want. A classic and simple single strand pearl bracelet especially made for the cute flower girl in your bridal party or wedding day or any special occasion. If you choose to add a Gift Card with the jewelry then BELOW is the default message that I will print on the card. If you want SOME OTHER message PRINTED then please add it in the NOTES SECTION with your order. Once the message is printed it cannot be changed. Additional cost and delivery time will occur to change it. 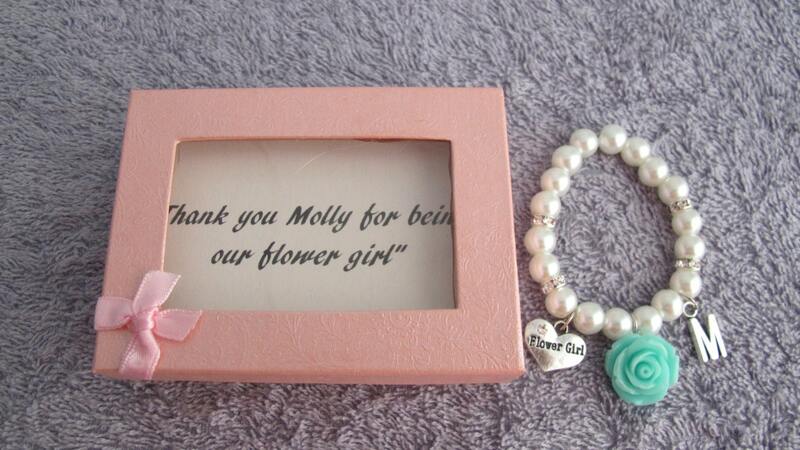 "Thank you <###flower girl name###> for being our flower girl"
Free Customization for this item. 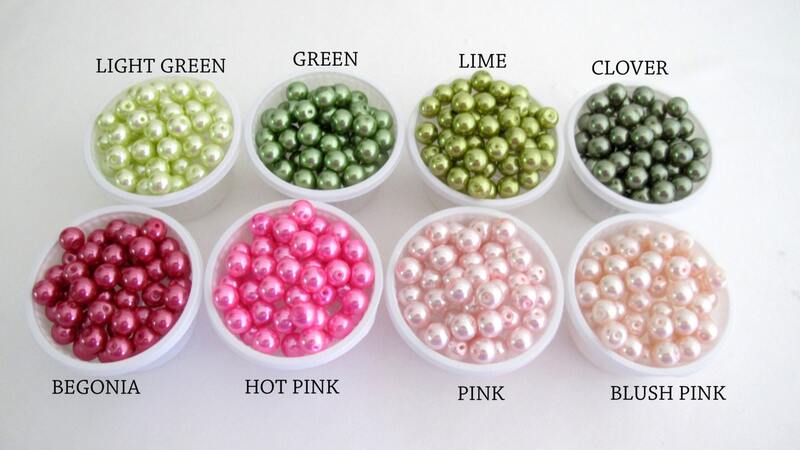 Free Standard Shipping for your entire order anywhere within USA. Was a day or two late but I can’t wait to give this to our flower girl in September. 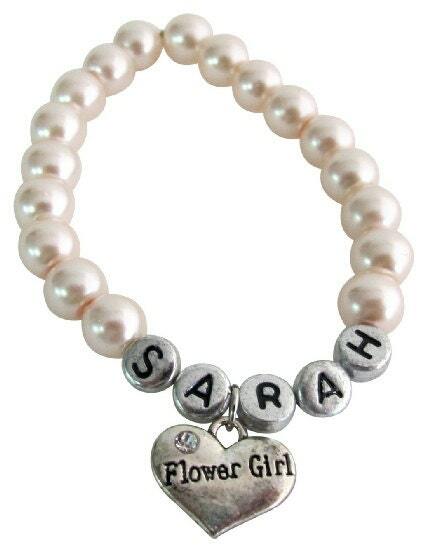 Love these for my flower girls! 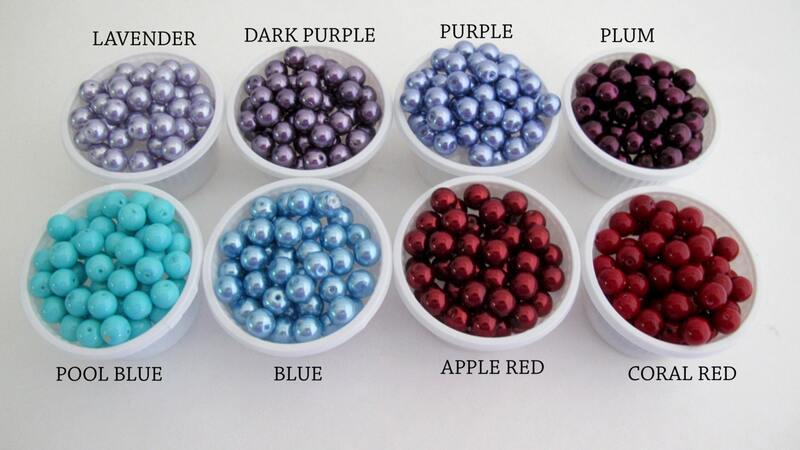 Adorable, quality bracelet and it fits perfectly! Thank you!